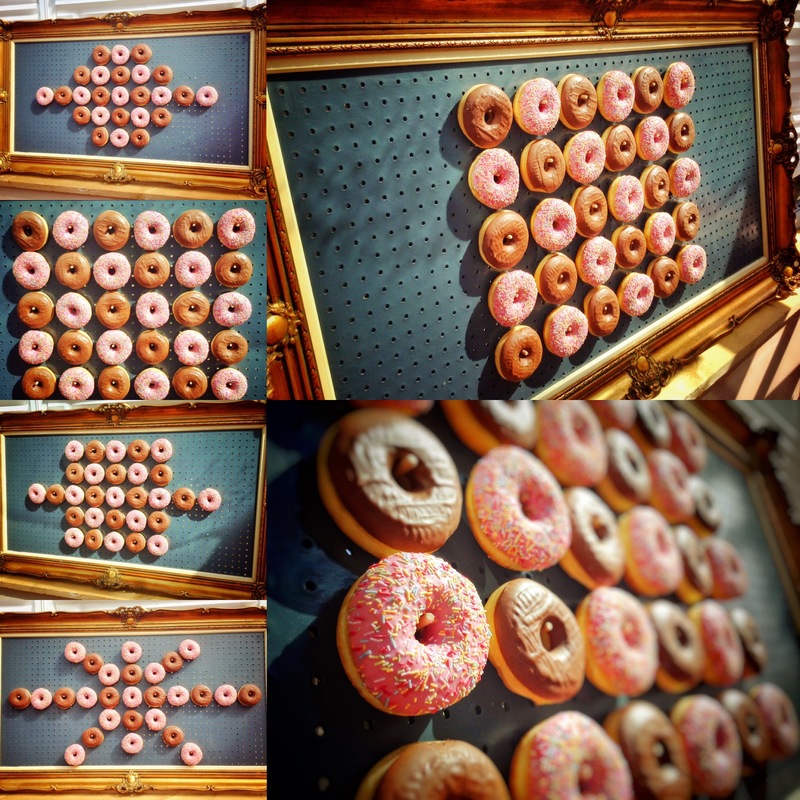 Plum Honeychurch > Blog > Plum Honeychurch > Doughnut Wall or Donut Wall it’s all Just Amazing! You say Donut Wall, I say Doughnut Wall, we all say yummy. 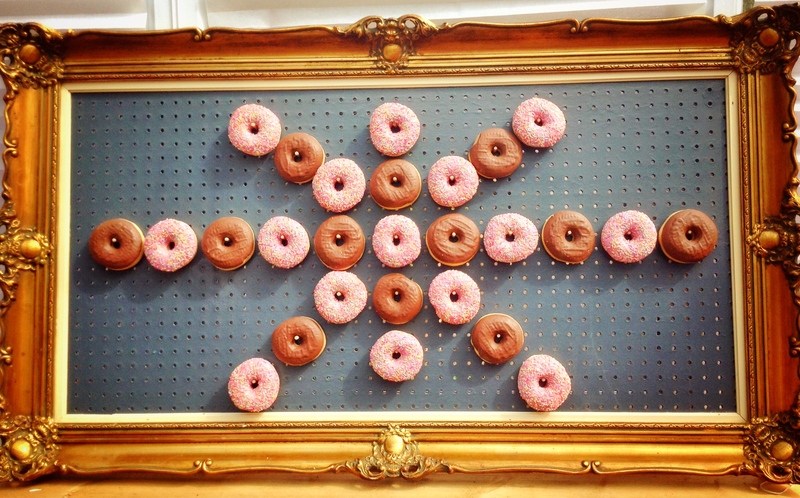 We have created our very own Doughnut Wall with the help of the creative team at Made Up Interiors. The wall is actually a beautifully large and ornate gold Rococo picture frame with a dark grey board to place the doughnuts on. Our Doughnut wall holds around 55 doughnuts at one time. As with our ice cream we pride ourselves on the quality of the products we supply, we had to taste a lot of doughnuts before we chose the perfect ones, it’s a tough job but somebody’s gotta do it. Our doughnuts are freshly baked by Good Taste Bakers in Camberley Surrey and are lovely round, doughy circles that are much bigger than supermarket doughnuts. The doughnuts come in three different flavours, glazed icing, caramel and chocolate sprinkles. Our doughnut wall is a perfect accompaniment with our ice cream tricycle, if you are thinking about creating a special surprise for your guest and a substantial dessert, ice cream and doughnuts will not only fill your guest’s appetite but something they will be talking about for a long time after. Prices for hire start at £150 for 50 doughnuts and then £2 for every extra doughnut after that, we will also bag all the leftover doughnuts at the end of the two hour booking for your guest to take home. The doughnut wall is also available for hire without the ice cream tricycle on weekdays and on the weekend in the winter months, just pop us an email at hello@plumhoneychurch.com for details and a quote. We are based in Ascot Berkshire, and travel to the surrounding counties of Surrey, Hampshire, Buckinghamshire, Oxfordshire and Sussex as well as London.